Australian publicly listed almond producer Select Harvests has indicated that it is looking forward to a profitable almond crop and that a strong demand in key global markets of China and India had grown significantly in the past year. 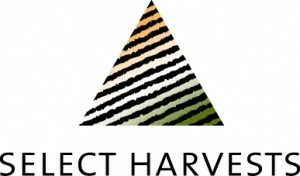 Select Harvests’ managing director Paul Thompson said that strong demand is evident other key global markets, with China up 62% year on year for the month of June and India up 25% YTD. It is clear that global consumers continue to demand more almonds, at current prices. Meanwhile the US Department of Agriculture has issued its estimate of the US almond crop for 2015 of 1.80 billion lbs, which is similar in size to the US almond crop in 2014 of 1.87 billion lbs, with no sign of the significant US drought abating. Paul Thompson said “With global demand intact and strong, in particular the strength of the Asian markets, and global supply constrained, we see pricing remaining stable for the foreseeable future. Select Harvests remains focussed and committed to its strategy to improve yield, quality and mitigate risk and deliver improved outcomes for shareholders”.